​Luis Enrique has swallowed his pride and included Barcelona full back Jordi Alba in his Spain squad for November's matches against Croatia and Bosnia-Herzegovina. Alba has been Spain's first choice left back for each of the last four major international tournaments dating back to Euro 2012, but he was not included in either of Enrique's first two squads after he took over in July. Enrique and Alba are known to have had a fractious relationship towards the end of their time together at ​Barcelona, where Enrique was manager between 2014 and 2017. But the 48-year-old could no longer ignore Alba's excellent form as he included him in his 24-man squad, revealed on ​Spain's official website. 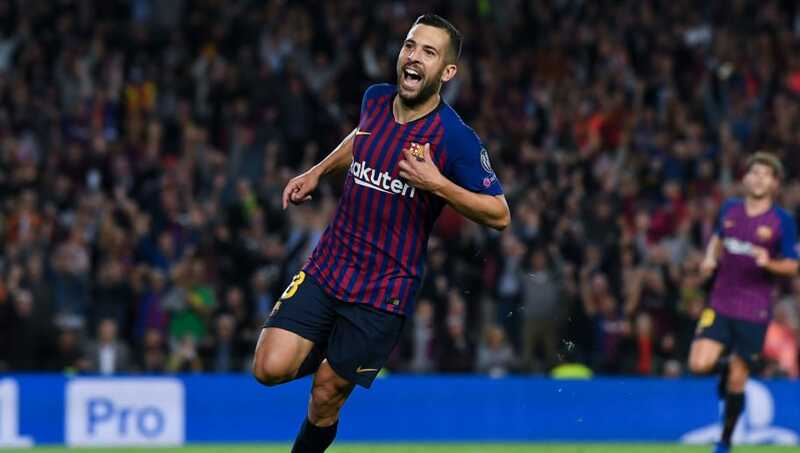 Alba's best performance of the season came in the Champions League against ​Tottenham at Wembley, when he provided three assists in a 4-2 Barcelona victory. He also assisted Philippe Coutinho's goal against ​Real Madrid and Luis Suarez's first against Rayo Vallecano, as well as scoring his first Champions League goal since 2013 against ​Inter. Defender Mario Hermoso has received his first senior call-up as a reward for helping Espanyol make a great start to the season. Only ​Atletico Madrid have conceded fewer goals in La Liga than the 2nd placed Periquitos. Villarreal midfielder Pablo Fornals is also back in the squad after a two-year absence. He made his debut against Bosnia-Herzegovina in May 2016 but hasn't played again since. Alba's Barcelona teammate ​Sergi Roberto also returns to the squad after missing out with injury last time. Spain will qualify for the UEFA Nations League finals if they beat Croatia in Zagreb on November 15.